Penryn Pearl (f. by Authorized). 4 wins from 1300m to 2000m, MRC Mypunter.com H.
To Do (f. by Benicio). Winner at 2000m, 3d MRC Schweppes H.
Pelonomena (f. by Americain). 2 wins. See below. Backroads (g. by Henrythenavigator). 2 wins at 1500m in Aust. Al Garhood. 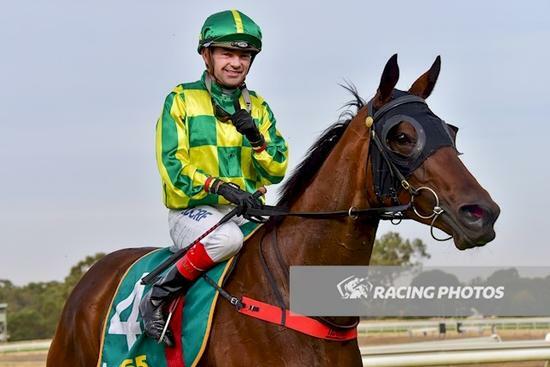 14 wins from 1850m to 5500m, A$533,126, Oakbank RC Von Doussa S/chase, Warrnambool RC Grand Annual S/chase-twice, Brierly S/chase, 2d Warrnambool RC Grand Annual S/chase, 3d Moonee Valley Hurdle, Mornington RC Great Southern S/chase. Regina Coeli. 7 wins from 1600m to 5500m, A$410,716, Warrnambool RC Grand Annual S/chase-twice, 3d Bendigo JC Mosstrooper S/chase. Just Junior. 2 wins at 1750m, 3000m, MVRC K Line Australia H.
TIME FOR WAR (Snitzel). 3 wins at 2, A$470,950, ATC Pago Pago S., Gr.2, BRC Sires' Produce S., Gr.2, ATC CFMEU Mining & Energy 2YO P., 2d Gold Coast Guineas, Gr.3, ATC Brian Crowley S., L, SCTC Glasshouse H., L, 4th ATC Sires' Produce S., Gr.1. Sire. 2 wins at 1700m, 2400m in 2018-19 in Aust.